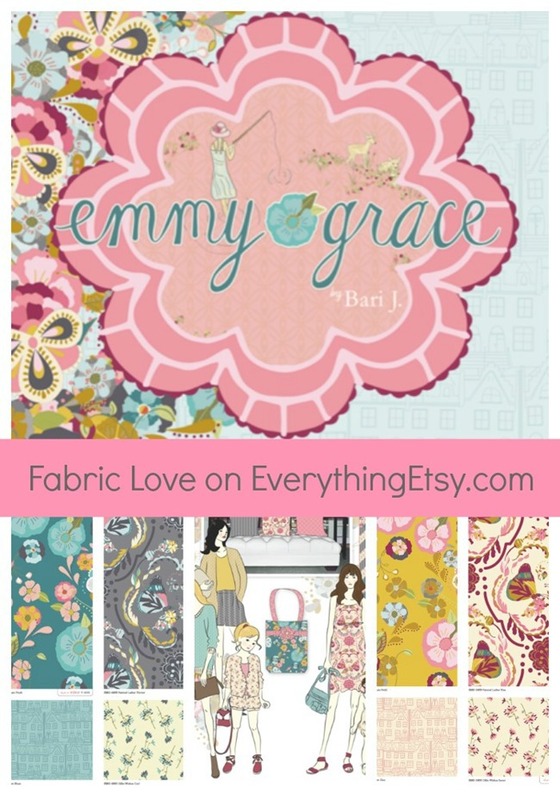 You are here: Home / Fabric Love / Fabric Love–Emmy Grace by Bari J. 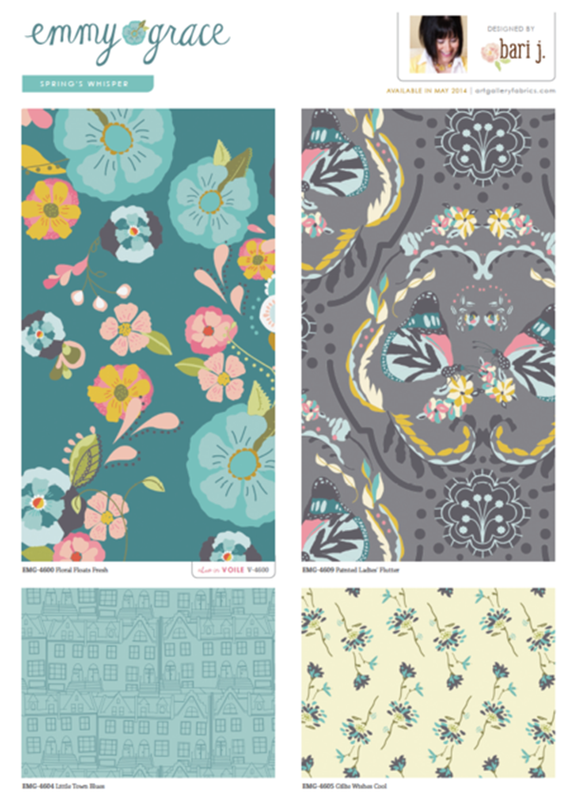 Beautiful designer fabric can really make a difference in a sewing project! I know many of you are constantly buying the latest fabric for your Etsy shop creations or one of our simple sewing tutorials. 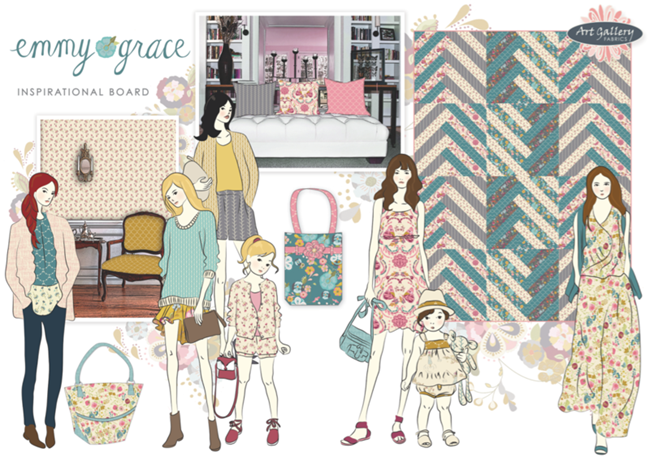 Well, this should make it easier for you to find the perfect fabric without a trip to the store. I’ll be featuring fabric I love on a regular basis, and I’m starting it off with one of my favorite fabric designers…Bari J.
Bari always uses cheerful colors and fun patterns that look amazing mixed together in quilts, bags or clothing. 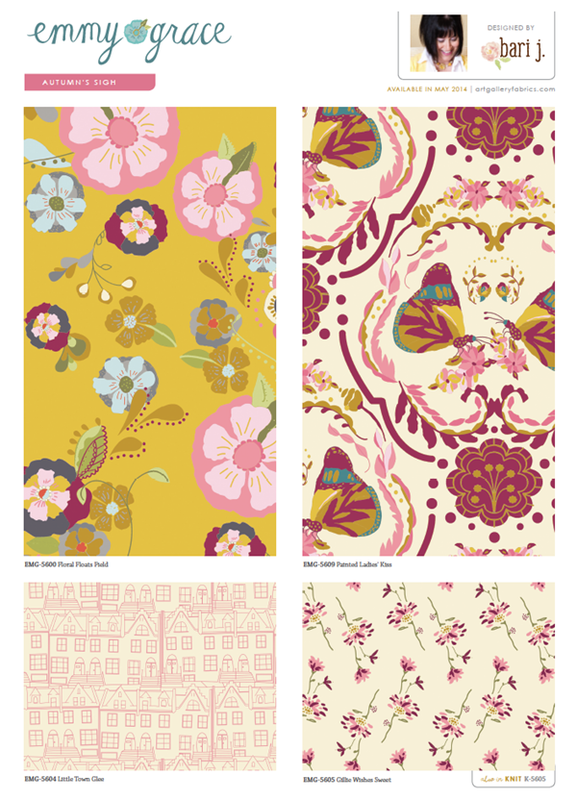 Visit Bari’s Blog for loads of inspiration with this latest line of fabric. It’s beautiful! 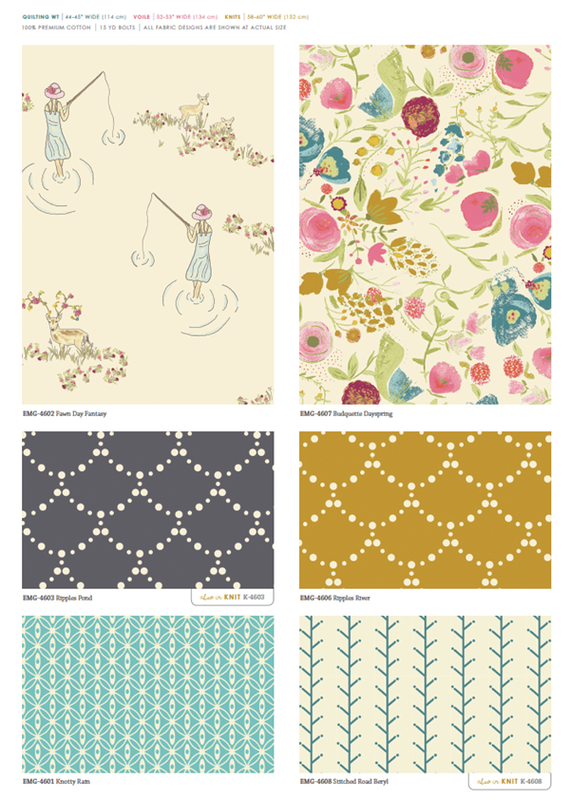 Art Gallery Fabrics has information on where you can find this fabric near you or online. 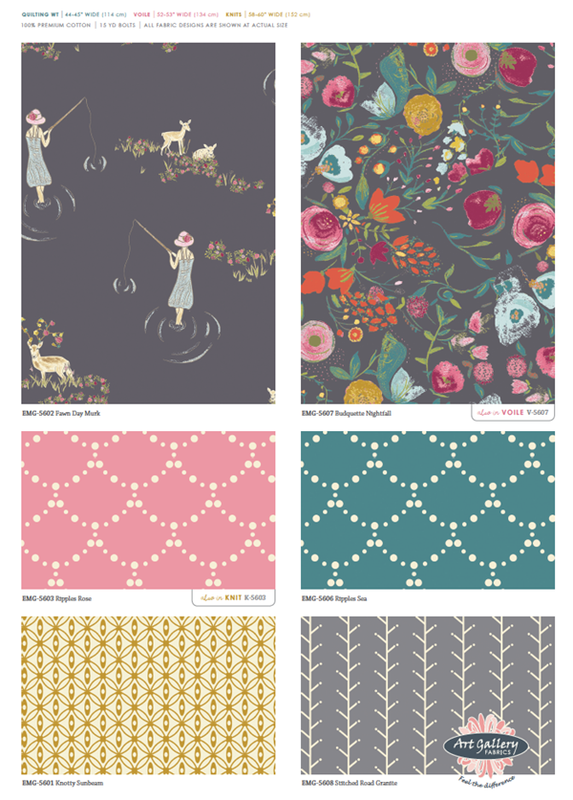 What’s your next project that includes pretty fabric? I’m sewing curtains for our vintage camper tonight. It should make a huge difference in just a couple hours! Fabric can do so much! This is a memo to the website creator. I came to your page via Yahoo but it was difficult to find as you were not on the front page of search results. I know you could have more visitors to your site. I have found a website which offers to dramatically improve your rankings and traffic to your site: http://garye.co/8k I managed to get close to 1000 visitors/day using their services, you could also get many more targeted traffic from Google than you have now. Their service brought significantly more visitors to my website. I hope this helps! Next Post 25 DIY Hair Accessories to Make Now!